El Segundo, Calif., USA - May 16, 2014 - The latest Boeing (NYSE: BA) Global Positioning System (GPS) IIF satellite sent initial signals from space shortly after launch May 16, marking the second GPS IIF launch this year and the halfway point of the 12 launches ordered by the U.S. Air Force to sustain and modernize the GPS constellation. 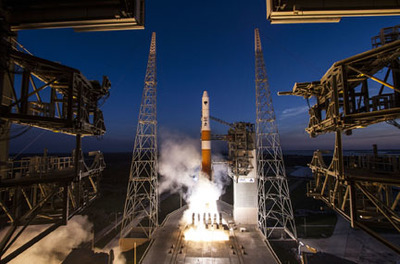 The latest GPS IIF was launched at 8:03 p.m. Eastern Time from Cape Canaveral Air Force Station aboard a United Launch Alliance Delta IV rocket. A bit more than three hours later, Boeing controllers in El Segundo confirmed the spacecraft was sending nominal signals from its orbit approximately 11,000 nautical miles above Earth. The satellite will undergo activation and systems checkout before handover to the Air Force as part of the GPS constellation. The Boeing GPS IIF satellite, the fourth generation of Boeing GPS space vehicles, is providing the most precise navigation clocks to date, along with improved accuracy, greater security and anti-jam capabilities. The latest Boeing Global Positioning System (GPS) IIF satellite sent initial signals from space shortly after launch today, marking the second GPS IIF launch this year and the halfway point of the 12 launches ordered by the U.S. Air Force to sustain and modernize the GPS constellation. El Segundo, Calif., USA. May 16, 2014. 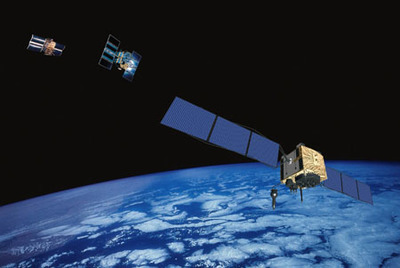 The latest Boeing (NYSE: BA) Global Positioning System (GPS) IIF satellite sent initial signals from space shortly after launch May 16, marking the second GPS IIF launch this year and the halfway point of the 12 launches ordered by the U.S. Air Force to sustain and modernize the GPS constellation. "Boeing has continued to maintain a robust tempo of deliveries to meet U.S. Air Force requirements, with the next GPS IIF already on deck in Florida for a third-quarter liftoff," said Craig Cooning, vice president and general manager of Space and Intelligence Systems. 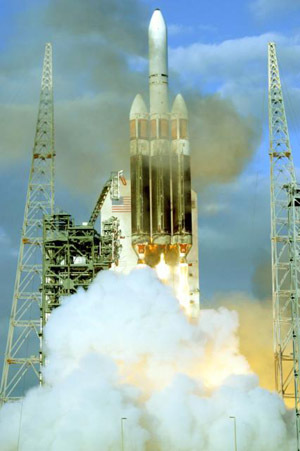 "As a prime contractor on the GPS program since the first launch in 1978, our experience with these complex and critically important spacecraft spans nearly 40 years and now covers 44 satellites delivered into orbit with continuing mission support." 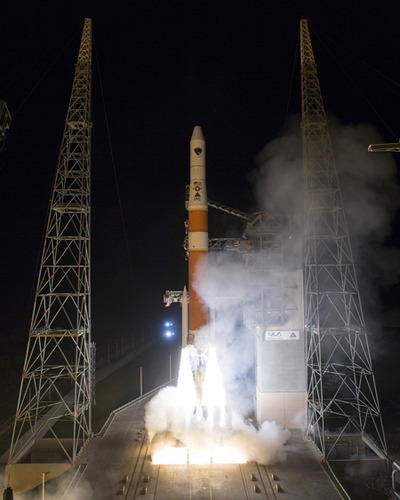 The latest GPS IIF was launched at 8:03 p.m. Eastern Time from Cape Canaveral Air Force Station aboard a United Launch Alliance Delta IV rocket. 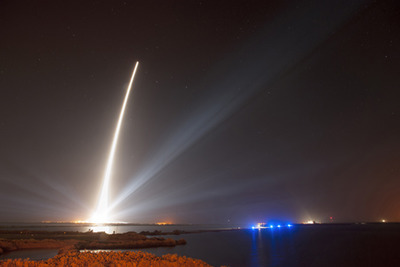 A bit more than three hours later, Boeing controllers in El Segundo confirmed the spacecraft was sending nominal signals from its orbit approximately 11,000 nautical miles above Earth. 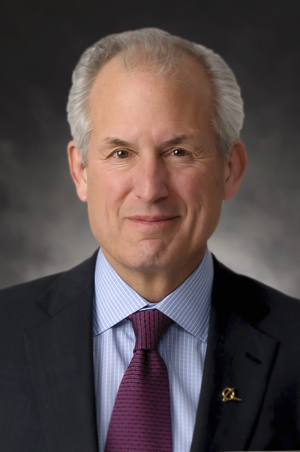 Chairman and Chief Executive Officer, The Boeing Company. The satellite will undergo activation and systems checkout before handover to the Air Force as part of the GPS constellation. 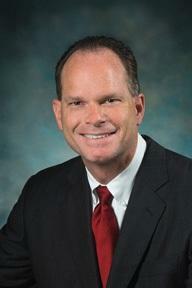 President and Chief Executive Officer Boeing Defense, Space & Security. 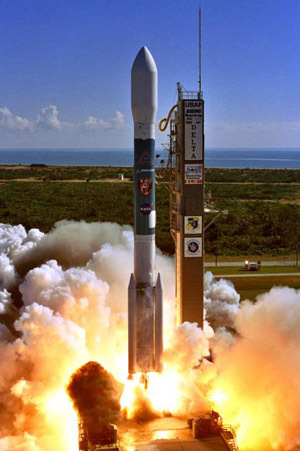 The Boeing GPS IIF satellite, the fourth generation of Boeing GPS space vehicles, is providing the most precise navigation clocks to date, along with improved accuracy, greater security and anti-jam capabilities.